Musings 'n scribblings of a philanthrope .. : Ecommerce warehousing - what happens in the warehouse .. ..
Ecommerce warehousing - what happens in the warehouse .. ..
We have heard that suppliers deliver articles at the warehouse and the e-commerce company sorts the items and arranges them on the shelves in the warehouse. Later these items are picked up for shipping as and when orders are placed. But do we know how the quality of the items are assessed, how the items are coded and stocked, and retrieved manually from the racks ? 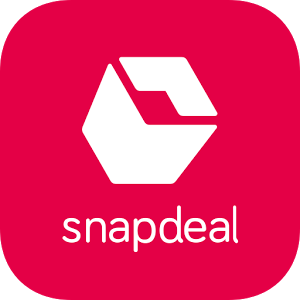 Here we are able through these videos able to understand how manual picking happens in one of the country's largest warehouses of the e-commerce provider Snapdeal in Gurgaon, Haryana, near to Delhi. The operations at this 2 million sq ft warehouse of Vulcan Logistics working for Snapdeal are mainly manual. Click here for a video of Vulcan logistics warehouse of Snapdeal, the ecommerce giant in Gurgaon ..
Another CNN IBM video of the Snapdeal warehouse at Gurgaon .. Contrast this with Amazon warehouse at one of it largest facilities. Amazon, in adition also uses robot to move things in the warehouse. Click here to see how it happens .. Basics of warehousing management ..
Modern challenges of warehousing ..Click here ..